The Netherlands made its Olympic debut in the 1900 Summer Games held in Paris, France. In their very first outing, they sent a total of 29 athletes to represent them in six sports. That year, Netherlands won a total of four Olympic medals. Rower Minerva Amsterdam won the silver for coxed pairs and bronze for coxed eights. Swimmer Johannes Drost took the bronze in the 200 meter backstroke and the shooting team of Antonius Bouwens, Solko van den Bergh, Dirk Boest Gips, Anthony Sweijs and Henrik Sillem also won the bronze in team military pistol. After that remarkable performance, Netherlands was noticeably absent in the 1904 Summer Games in St. Louis, USA. They did however come back in 1908 for the London Summer Olympics where they continued their momentum. 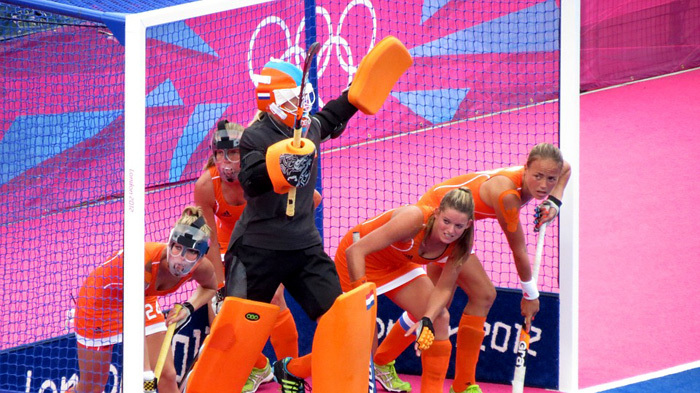 Netherlands is considered as one of the perennial powerhouses of the Summer Games for their consistently remarkable performance in every Summer Games but they will not win an Olympic gold, that is, until 1920. In the 1920 Summer Olympics held in Antwerp, Belgium, Netherlands won not one or two but four Olympic gold medals. Their men's archery team, cyclist Maurice Peeters (Men's 1,000m Sprint), sailors Cornelis, Frans and Johan Hin (Men's Dinghy), and Joop Carp, Berend Carp, and Petrus Wernink (Sailing: Men's 6½ Meter Class) all won gold medals. That year, Netherland won additional two silver and five bronze medals making them 9th overall. In 1928, Netherlands hosted the 9th Olympiad in Amersterdam where they raked in a total of six gold, nine silvers and four bronze medals making them 8th overall in a pool of 46 participating nations. That is one of the strongest performances that Netherlands had ever delivered. In 1928, they also participated in the Winter Games for the first time but they will end up missing the next Winter Olympics. After that though, they will attend all of the Winter Olympics religiously and in 1964, figure skater Sjoukje Dijkstra won Netherlands' first ever Winter Olympic gold medal when she dominated the Ladies' Singles in Innsbruck, Austria. She may be the first but she will definitely not be the last as a whole slew of Olympic medalists will follow her footsteps like speed skaters Kees Verkerk (Men's 1500 metres), Carry Geijssen (Women's 1000 metres), and Ans Schut (Women's 3000 metres) who all won gold medals in the very next Winter Olympics. The French boy who coxed the Dutch winning pair in the rowing events at the 1900 Olympics is believed to have been only 7 years old. The Netherlands participated in the equestrian events of the 1956 Games held in Stockholm in June, but did not attend the Melbourne Games later that year. In 2011, the Netherlands Antilles was dissolved, forming the territories of Curaçao and Sint-Maarten, which themselves are not eligible for inclusion into the Olympics as independent nations. Athletes from this region competed in 2012 as independent athletes, and from then on will participate as either part of Aruba or The Netherlands proper. Dutch athlete Jeroen Straathof competed at the Summer and Winter Olympics and the Paralympics. He competed as a speed skater at the 1994 Winter Olympics, before switching to cycling. At the 2000 Sydney Paralympics he competed as pilot in the tandem with visually impaired Jan Mulder to win gold. He then competed in the Dutch pursuit team at the 2004 Athens Olympics.